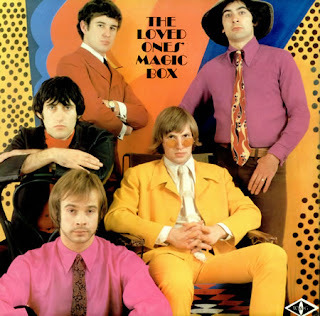 A wild sixties band from Melbourne, where they formed in 1965. It was Ian Clyne's first band but he went on to play in several others. Anderson and Lovett came from another Melbourne band The Wild Cherries. Delacy was originally from the U.S.. It was Gerry Humphreys; whose raucous vocals and stage persona, made the band a big live attraction in this era. They were one of the very best Aussie sixties bands. All of their members came from good musical backgrounds and they had a great live act. Their album has been reissued no less than three times. They split up in 1967, but reformed for a tour in 1987 and released a live album, Live On Blueberry Hill on Mushroom in 1988. Thanks a lot olegelagin, I was not familiar with this band, but thanks to you now I can enjoy them.